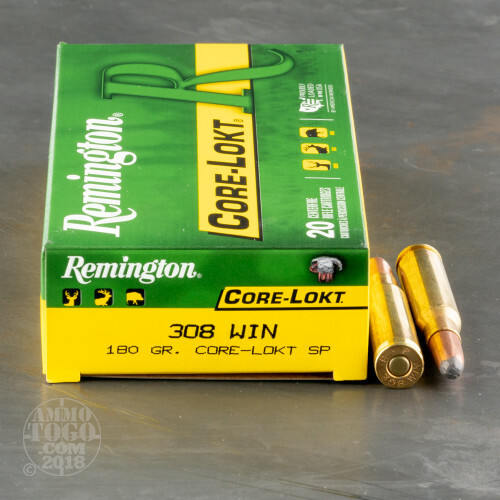 This is .308 Remington Express Core-Lokt 180gr. 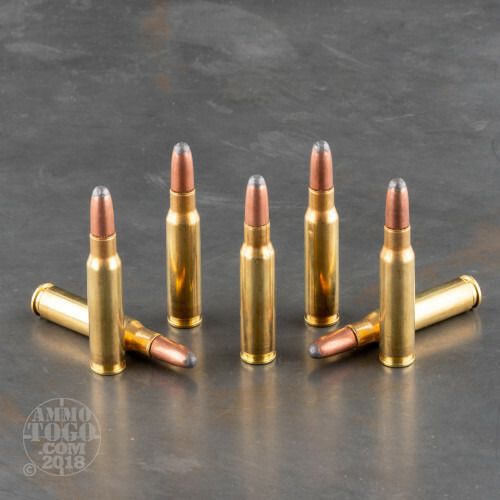 Pointed Soft Point Ammo. The bullet in this ammo has a Spitzer shape profile for improved velocity and flatter trajectory. 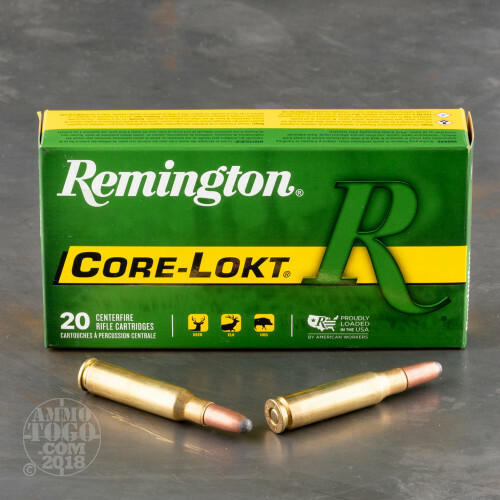 The Bullet core is mechanically locked in place to provide deep penetration and the jackets are designed to give you progressive, reliable expansion everytime. The expansion will be almost twice the original diameter of the bullet. 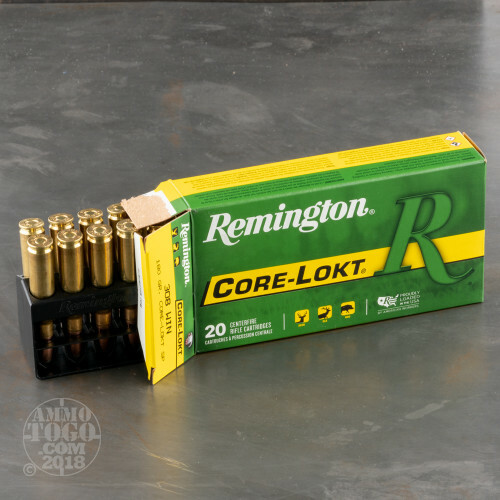 This ammo is packed in 20rds per box.